Everyone by now has seen Disney's Frozen and knows all the lyrics but you have NEVER seen it like this! 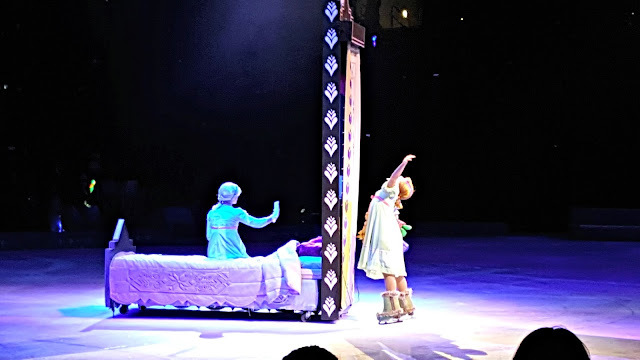 Last night my family was invited to review Disney On Ice Frozen at the Staples Center. 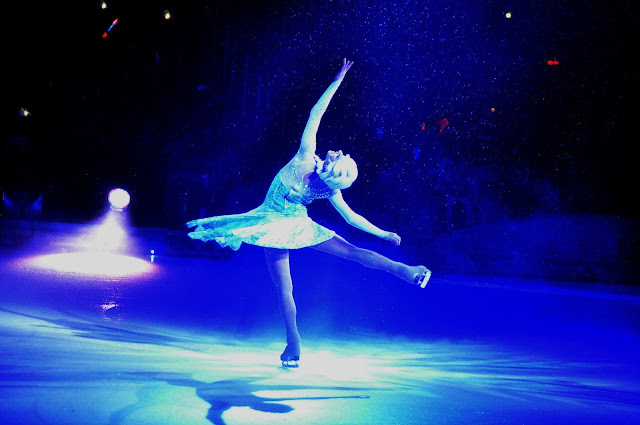 There is nothing quite like the magic of seeing the story come to life on ice with the gracefulness of ice-skating. All of our favorite characters flying across the Staples Center performing the show that many parents would like to forget. Just kidding. Although, we could sing the songs in our sleep, the car, house, etc., there is absolutely NOTHING like hearing thousands of people singing it at once! We got to the beautifully decorated Staples Center a little early and walked around for possible Christmas shopping. 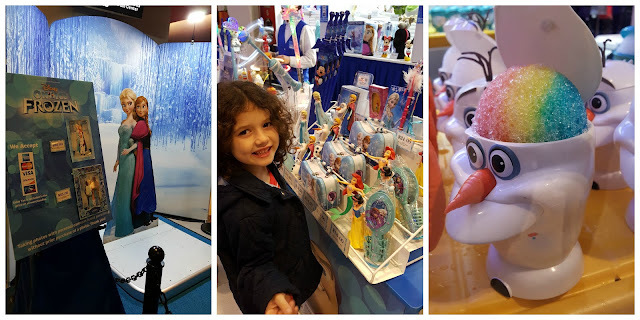 My daughter loved everything at first sight and it was hard to choose just one. I had an eye on a best friends locket which may or may not have come home with me. The show was about to start. I had treated us to McDonalds sundaes and the kids were happy. We were a little surprised to see some of our other favorite Disney characters come out to greet us and introduce the show but Anna, Elsa, and Olaf followed soon after. As this infamous story enfolded before us, we fell in love all over again. Our favorite songs were sung by all and the eyes of all ages were glued to the love story. "Do you want to build a snowman?" It was fun seeing Anna grow up in the story. Luckily, the shipwreck didn't make the show. It is always hard to explain what happened to their parents to the little ones. As Elsa finds her wings to fly, Hans and Anna find theirs as well. Through hardship they learn what love truly is with a little help from the "Love Experts" and Olaf. Elsa's inner struggle with her guilt and its release gives her the chance to fly on her own to find her true self. Anger, in the form of Marshmallow was a hard pill to swallow, he is HUGE on the ice! 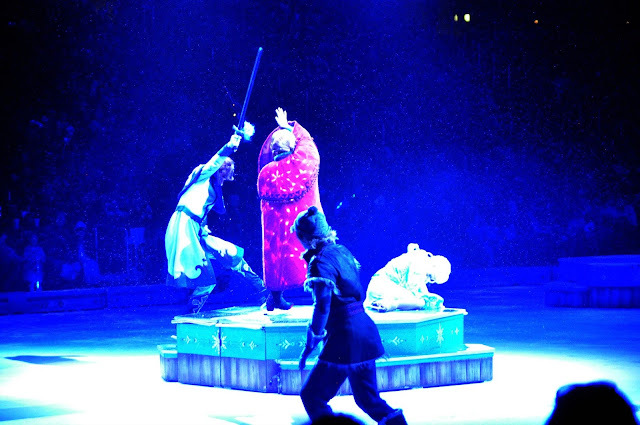 When Anna discovers that Hans has betrayed her, Elsa realizes that true love is the love of a sister. When Anna sacrifices herself, the warmth of love takes over and fills Arondale with magic and understanding. 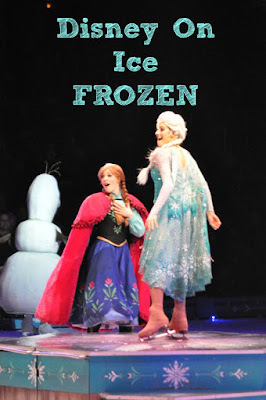 I recommend this Disney On Ice version to any Frozen fan, young or old. The moral is a lesson for all. True love conquers all! 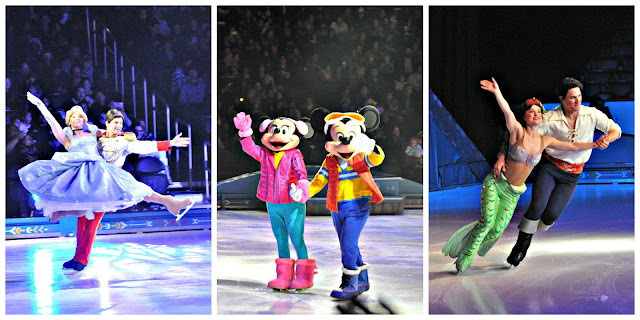 To find shows near you and to purchase tickets, please go to www.disneyonice.com/FROZEN. 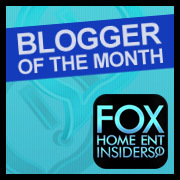 DISCLAIMER: I was invited to a media viewing of the show. All thoughts and ideas are my own. Do not use any photos without permission.